In order to make the most of the available space, DEA offers a series of wall furnishings to meet every requirement and for every type of work environment. 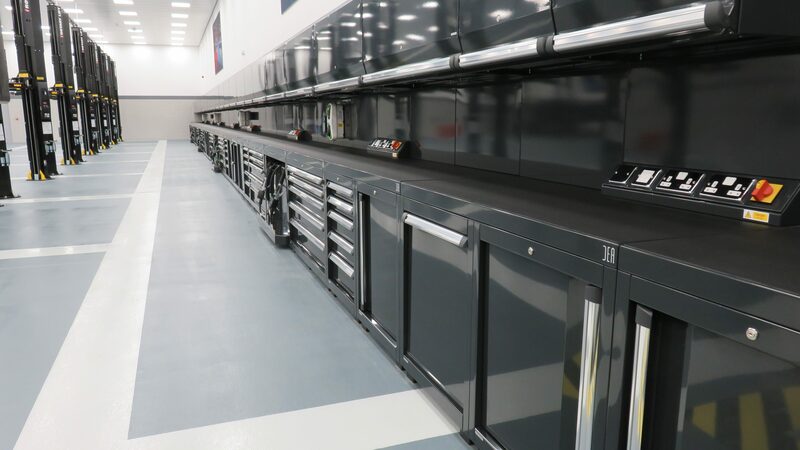 High capacity OVERHEAD UNITS with doors mounted on gas springs, ideal for housing folders, tool boxes, containers, sprays, and more. 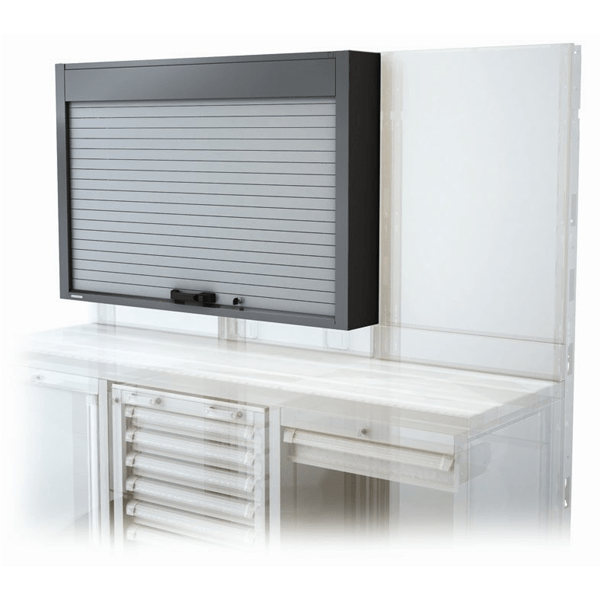 PRACTICAL UNITS with shutters (manual or motorised), ideal for hanging tools. 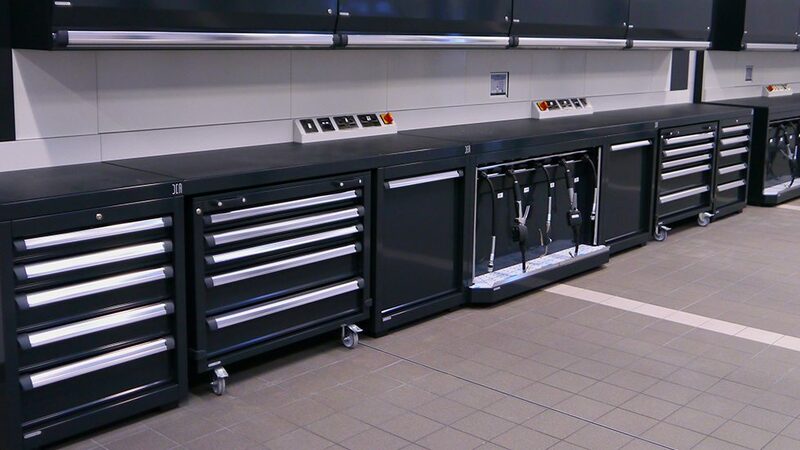 Perfect for positioning in front of workstations in order to allow the operator to always have all the necessary tools within easy reach. PANELLING Smooth and perforated in order to hang accessories like monitors, paper towel holders, shelves, gas cylinder holders, etc. Even available in the height of 2 metres for dividing different rooms and work zones. A practical unit with a manual shutter (motorised upon request), complete with a keyhole perforated rear panel (square or round holes available upon request), an aluminium shutter with a handle and lock, and an adjustable attachments kit to ensure the proper levelling of the module itself. All the components are epoxy powder coated. Possibility of choosing the hole type. 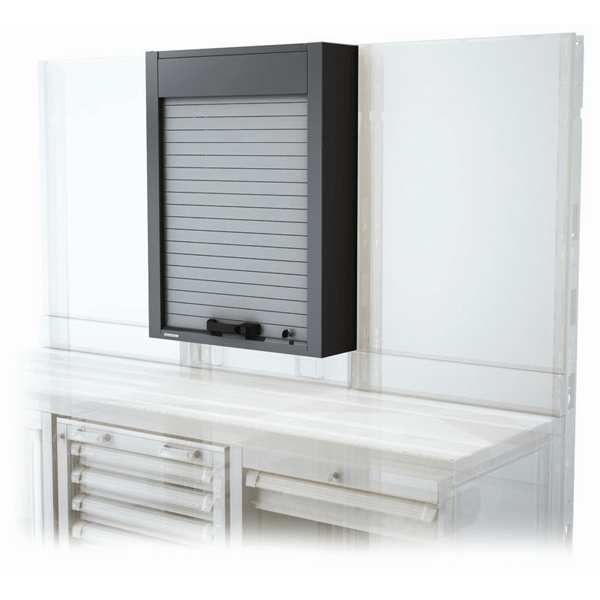 Possibility of keeping shutter open leaving panel with the tools visible. Overhead module with flip-up opening door. The door is mounted on gas springs, which facilitate its opening and allow it to be maintained open. 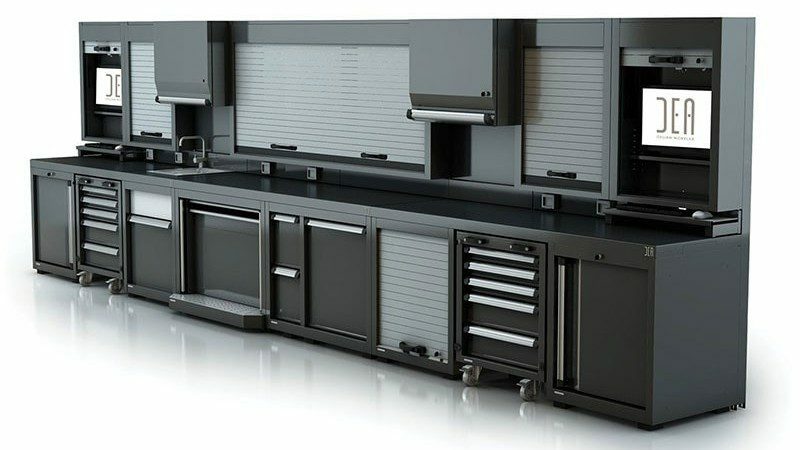 The cabinet is equipped with a key-operated lock, an adjustable internal shelf, an ergonomic handle in extruded aluminium with guides for inserting labels, adjustable feet for properly levelling the module, an adjustable shelf, and an adjustable hinge for properly aligning the door with the cabinet. All the components are epoxy powder coated. 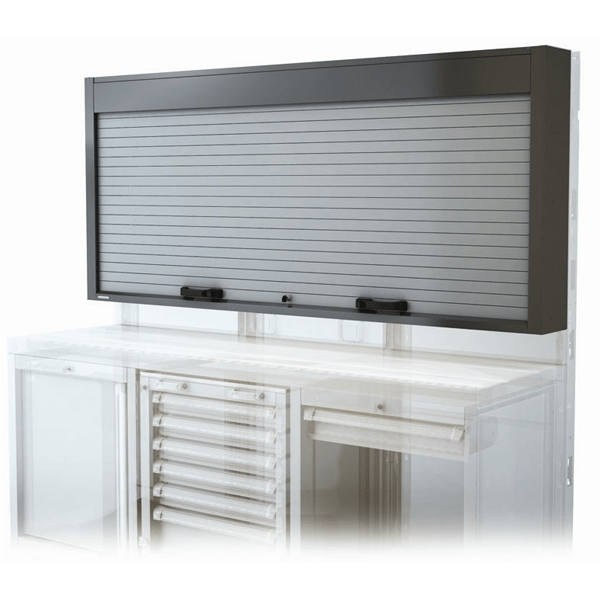 A practical unit with a manual shutter (motorised upon request), equipped with a rear monitor support panel and adjustable shelf. 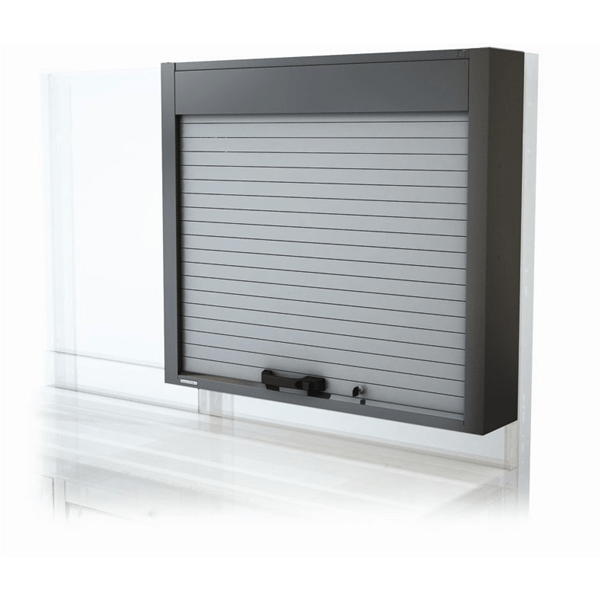 Aluminium shutter with handle, lock, and adjustable attachments kit for properly levelling the module itself. All the components are epoxy powder coated. Possible of keeping shutter closed to protect monitor. 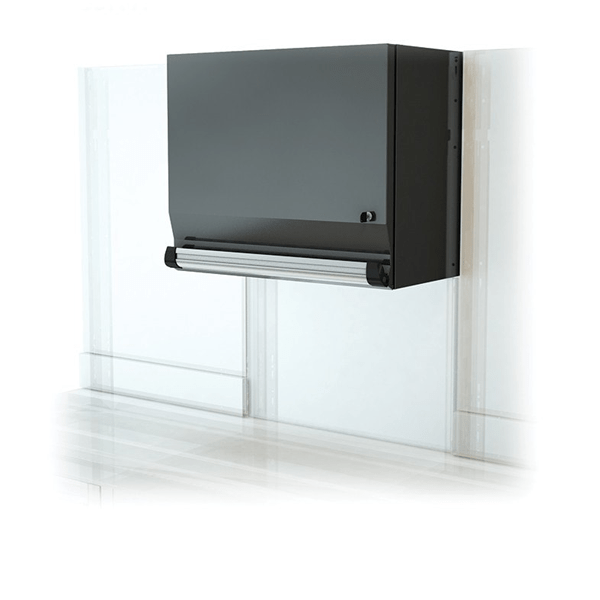 Fasten monitor direct to panel or position on supplied adjustable shelf. 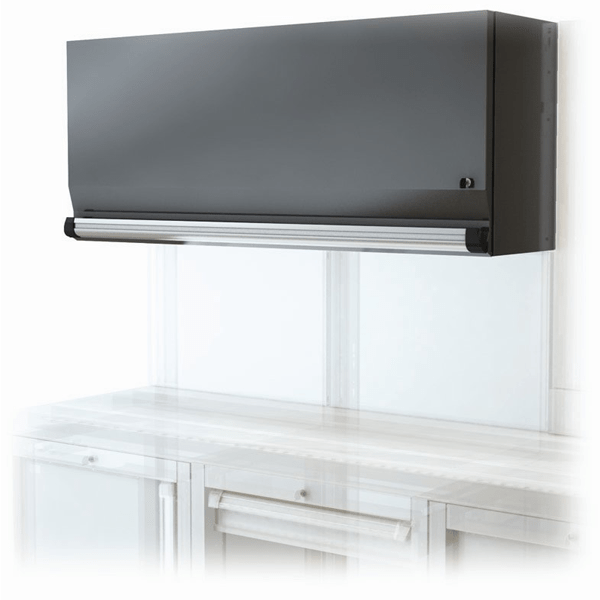 Overhead module with flip-up opening door. 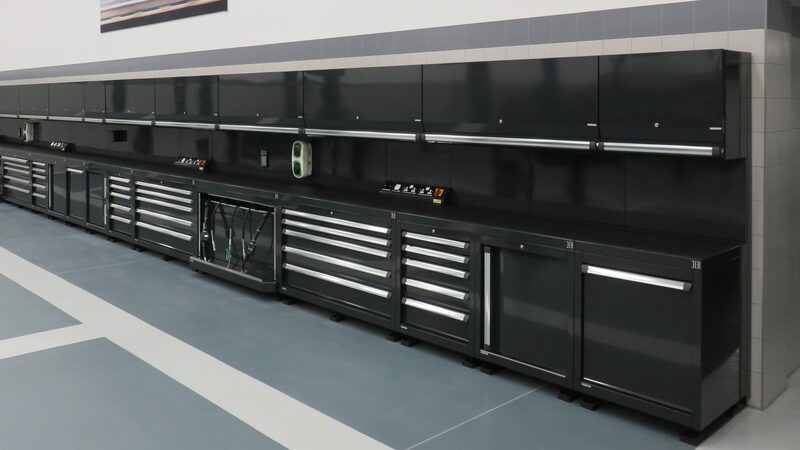 The door is mounted on gas springs, which facilitate its opening and allow it to be maintained open. 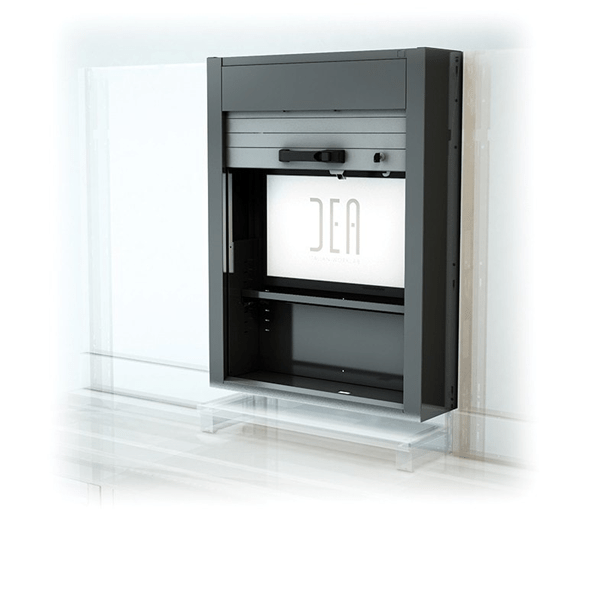 The cabinet is equipped with a key-operated lock, an adjustable internal shelf, an ergonomic handle in extruded aluminium with guides for inserting labels, and an adjustable hinge for properly aligning the door with the cabinet. All the components are epoxy powder coated. Door mounted on gas springs supplied with the unit itself.